Definitely turn the vid up 720p to really appreciate the epic battle. 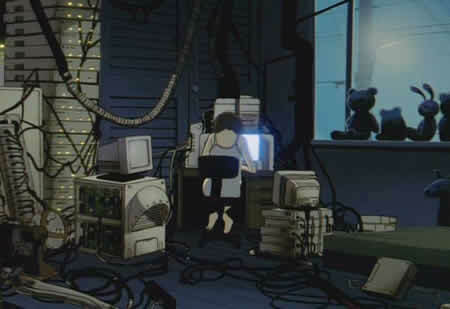 The filename is "lain-3.jpg" so does Anonymous get nerd points for reading the filename or for recognizing the screenshot? Either way, congrats! ha but they would not be earned nerd points.